Wirth Vegetation Management	Funding for this project was provided from the Outdoor Heritage Fund to restore, protect, and enhance Minnesota's wetlands, prairies, forests, and habitat for fish, game, and wildlife. Development of implementation plans, preparation of consultant contracts, development and implementation of measurement for grant outcomes. Citizen science and consultant measurements of plants, nesting birds and amphibians. Woody invasive management contract work. Work in the “back 40” and in South Wirth will begin in summer 2015. Once ground freezes, removal of woody invasives in the wetlands south of Glenwood Ave will begin. Woody species will be either mowed with a heavy brush mower on a skid steer/bobcat. In areas where vegetation is too large for the brush mower or too close to specimen trees, chainsaws or hand cutting will be used. Material will be chipped as it is cut. This work will be done largely by contractors, though we will continue to work with volunteers of the Friends of the Eloise Butler Wildflower Garden in the volunteer stewardship area around the outside of the garden and with youth workers near the Quaking Bog. Additional contract work may be issued depending on funding and as vegetation responds to the management activity. Work on the shoreline of Twin Lake is also proposed as part of the grant activity. Staff involved in this work includes a team of Environmental Operations staff, Planning staff and Communications staff. Impacts on use of the park will be visible. Crews will be working with machinery and with hand tools to remove invasive vegetation and will also be repairing erosion and re-seeding native vegetation. 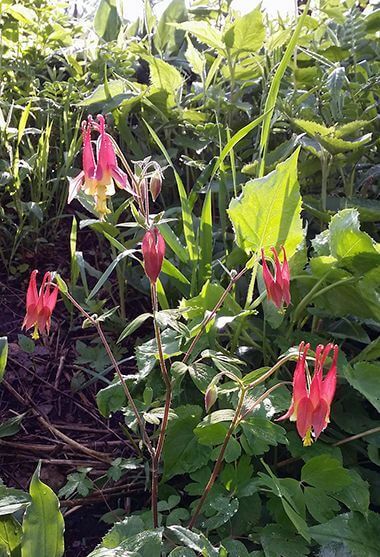 For your safety and to protect newly emerging native plants we ask that you stay out of vegetation management areas. Signage and fencing will be posted in some locations closing off unsustainable erosion areas and former footpaths. Please use marked, authorized trails in the park. A grant application is submitted to the Outdoor Heritage Council. The council recommends the grant as part of its 2014 package. In Spring 2014 the MN Legislature and Governor approve the Council Recommendations. Grant period and staff planning begin. Monitoring activities begin to measure existing conditions in the park. Woody vegetation management contract begins, summer youth work begins, Friends of Eloise Butler Volunteers continues. 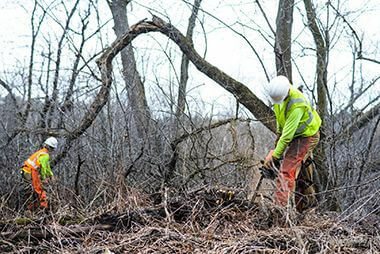 Workers begin removing buckthorn in the southwest corner of the park. Since this work is implementation of an existing master plan, additional community engagement is not planned. Informational updates will be posted when work occurs. Opportunities to volunteer in monitoring activities and to assist with invasive species removal may be available. Please contact the project manager for more information. Two open houses were held on August 6 and 18, 2015 at the Wirth Chalet in the Fireplace Room from 4-5 pm. The vegetation management work will result in a very different look for Theodore Wirth Regional Park. There will be less understory vegetation (brush and small trees) during the initial intensive mowing period of at least five years. Some desirable species will be temporarily cut/lost in the process. Long term, MPRB plans to incorporate regular brush mowing into native vegetation management techniques where appropriate. Brush mowing does not use undesirable chemical herbicides and is easier to schedule than prescribed burning. It also can be done with less skilled workforce and is a more common type of maintenance activity. As per the Theodore Wirth Master Plan [PDF], prior to European settlement, Wirth Park was largely an oak savannah plant community. Savannahs have less than 50% tree cover, dominated by large branching native oaks with grass and flower mix on the ground. Up into the 1980s, the majority of the park was mowed extensively, maintaining a largely savannah-like feel. When mowing was reduced, woody invasive shrubs began to dominate the landscape and transition much of the park into an oak woodland. The thick understory which is dominated by buckthorn is not a “natural” condition and does not provide good habitat for native species. 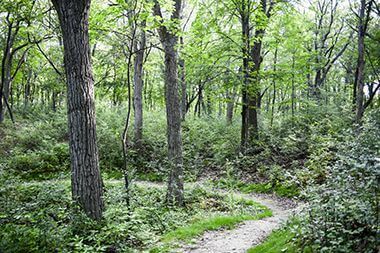 Thinning this understory will provide many benefits, allowing native plants to return and benefitting native pollinators, birds, small mammals and amphibians. Improving natural resources in the park was the second highest priority for the Community Advisory Committee who helped to guide the recently adopted Master Plan for the park. Funding for this project was provided from the Outdoor Heritage Fund to restore, protect, and enhance Minnesota’s wetlands, prairies, forests, and habitat for fish, game, and wildlife. The Outdoor Heritage Fund is providing a total of $600,000, which will be used for contracted work by experienced vegetation management contractors and materials and supplies. Matching funds will be provided through work by MPRB staff, Green Team summer youth workers and Conservation Corps youth workers.